The Young Matildas first game was against Malaysia, who they defeated 7-0. They dominated this game from the outset, scoring their first goal within 20 seconds when Alexandra Chidiac won the ball back from kick-off and marched towards the goal. By the time the game was ten minutes old, Australia was leading 3-0 thanks to goals from Mary Fowler and Emily Condon. At the game’s conclusion, Fowler had a double and Chidiac had a hat trick. The final goal of the game was scored the last couple of minutes of normal time and was a team effort, with Amy Sayer hitting the back of the net. Their next game was against Timor-Leste and it was another convincing win. Similar to the game against Malaysia, Australia dominated this game from the outset. The first goal came in the 11 minutes through Cortnee Vine, who made it a double in the 18th minute. By halftime, Australia were leading 3-0. Sayer bagged a double in this game and the Young Matildas managed to score in the 72nd, 29th and 86th minutes, pushing the score out to 9-0 – a score line which reflects how dominant the squad was during this game. Their next win was a 12-0 demolition of Cambodia, giving the Aussies a perfect start to the tournament. Fowler again shone, ending the game with five goals. The final match of the pool stage was against Thailand. Prior to this game, Australia sat on top of the pool with nine points and netting 28 goals in their first three matches. But this game saw the girls in gold defeated 4-2. What I didn’t appreciate was the Young Matildas playing Thailand’s senior team. In fact, that is effectively the case for the whole tournament. This puts the tournament into perspective for the Young Matildas, particularly when you consider that the last time the Matildas played Thailand, their game was drawn 2-2 at the end of regular time, Australia eventually winning 3-1 on penalties. Kanjana Sungngoen shone for Thailand against the Aussie youth side, scoring a hat-trick in four and a half minutes of the game – the remaining goals were scored after halftime. Still, Australia progressed to the semi-finals, where they faced Vietnam. Nguyen Thi Tuyet Dung scored first, but at the break, Australia led 2-1, thanks to goals to Chidiac and Courtney Nevin. This scoreline potentially flattered Vietnam thanks to some exceptional goalkeeping by Đặng Thị Kiều Trinh. The Vietnamese continued to fight back but Australia maintained their lead also through some exceptional goalkeeping by Jada Whyman. When Chidiac scored her second goal, in the 74th minute, Australia were winners beyond doubt, eventually getting up 4-2. Many of these women will be representing Australia at a senior level very soon, with a very bright future for Australia. There have been some key retirements this week, and the timing is worth, noting given that next weekend Lisa Alexander will announce her Australian Diamonds squad for next year’s World Cup. The squad will go to England without Laura Geitz, who announced her retirement on Monday night, while Madi Robinson followed less than a day later, followed by Susan Pettit not long after. Liz Ellis penned an article this week which questioned the reasons behind the retirements. Did they hang up their bibs on their own terms or were they told they would not be picked for the World Cup? Regardless, there is potentially some panic in the upper echelons of Australian netball’s hierarchy, given the Diamonds’ second-place finish at the Commonwealth Games earlier this year. 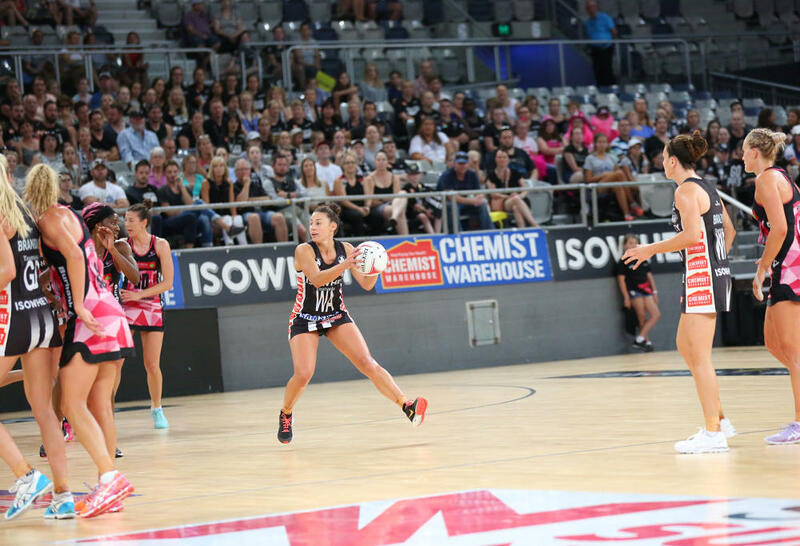 Additionally, all Super Netball players are currently off contract, which could lead to disruptions as the competition edges closer to its crescendo in August. For now, I eagerly await Lisa Alexander’s squad announcement, with the guarantee of some new faces.